Dozens of studies have shown that tutored students outperform classroom students and self-studiers. 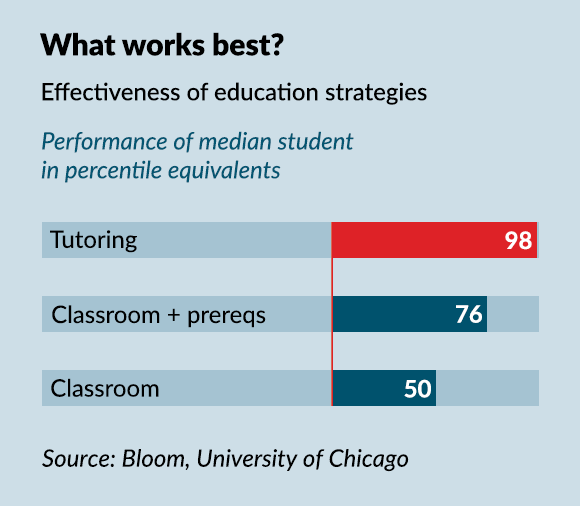 In randomized, controlled trials (the gold standard of science) at the University of Chicago, the median tutored student outperformed 98 percent of classroom students. Besides increasing test scores, tutoring also changes microstructures of the brain. Studies at the University of California at Berkeley showed 3 months of LSAT instruction “changed white matter microstructure” in brain areas associated with logical reasoning. Tutoring also strengthened connections between the left and right hemispheres of the brain.